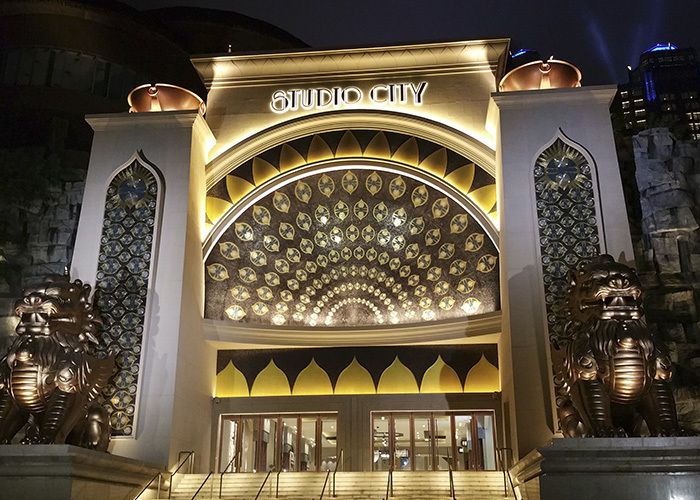 Studio City opened amid much fanfare on 27 October 2015. The concept and architectural design of the façades was the work of Gary Goddard Entertainment. 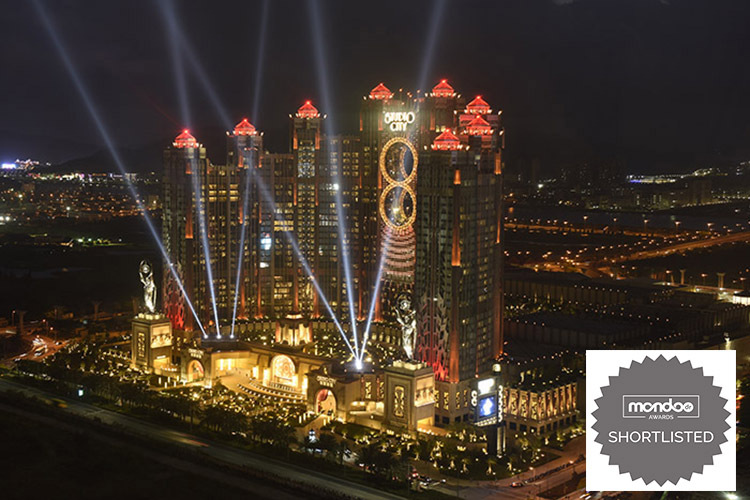 Studio City carries the strongest entertainment theming of any resort in Macau and the epic movie theatre vision pervades every part of the building, internally and externally. The lighting design is mindful of the urban landscape and the prevailing cultural preferences regarding the use of colour and movement. illumination Physics brought the architect’s vision to fruition by devising façade lighting that is necessarily theatrical in style. Based upon ‘old’ Hollywood glamour and the world of motion pictures, the building evokes an Art Deco style reminiscent of the fabled Gotham city and is an overt expression of its purpose; to attract guests amongst an increasingly competitive market. 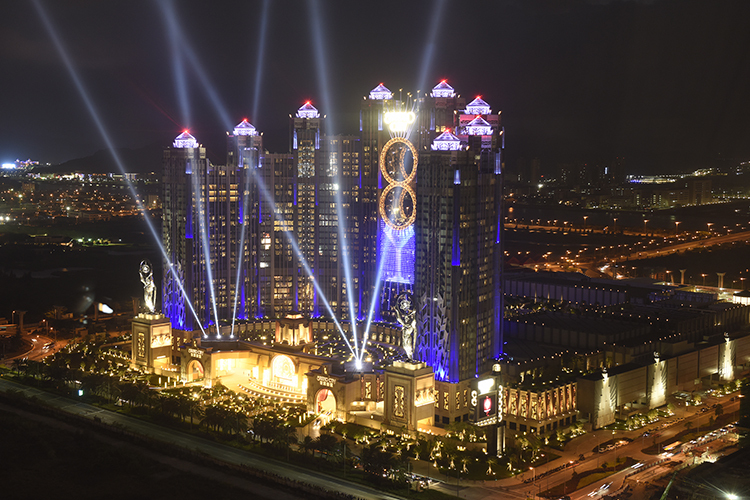 To promote the period theme, the façade lighting design makes use of indirect view lighting, strikingly highlighted in the ‘Golden Reel’ – a 20-storey high Ferris wheel ride inspired by a Hollywood-style tale of two flaming asteroids crashing through the façade and creating a perfect golden figure-of-eight. The Golden Reel is illuminated by 972 custom designed miniature wash lights using very warm white to create a golden sparkle. 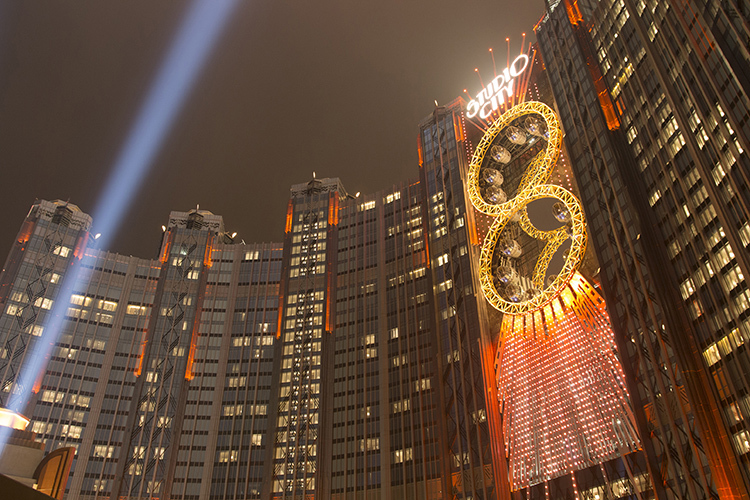 Surrounding the Golden Reel is a media wall comprised of 3,008 high power LED pixels, used to convey notional content that interacts with the façade lighting. The lighting of the podium is 100% static; LED fixtures of warm and neutral white hark back to an incandescent era. In contrast to the podium, the overhead tower makes use of red, green, blue, and amber lighting to create spectacular colour changes. illumination Physics designed numerous custom light fixtures, ranging from the powerful Wash 48 100 watt RGBA to the CR80 miniature wash light. The addition of six searchlights raking the sky completes this tantalising trailer, enticing all passers-by to discover the glamour that awaits them inside. Lighting design is a derivative art form and illumination Physics’ lighting of Studio City reinforces the remarkable elements of the spectacle this building creates.